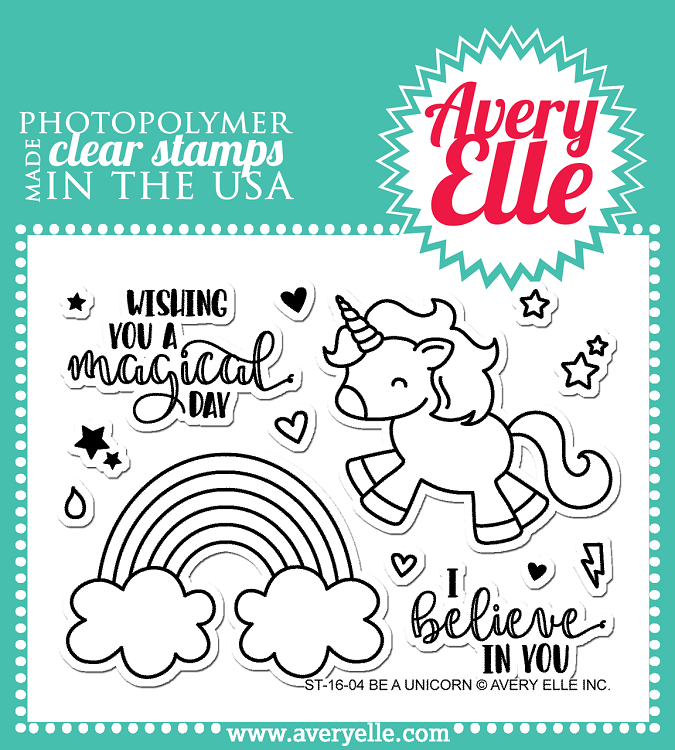 3x4 Be A Unicorn clear stamps are magical! Use the adorable images and encouraging sentiments to create a sweet note or gift. 14 total stamps. 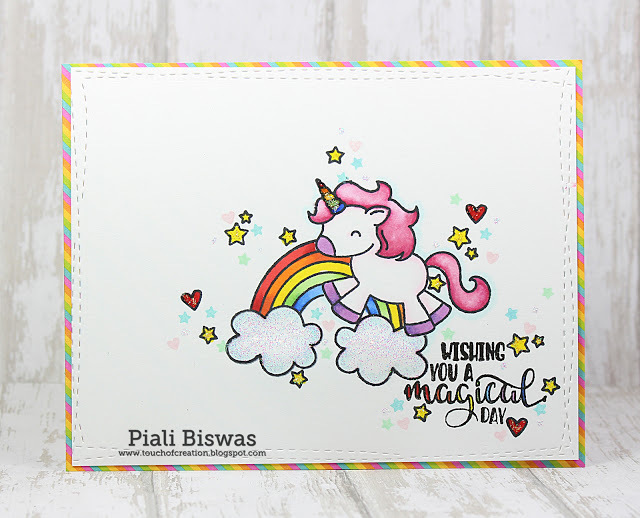 Unicorn stamp measures : 1 7/8" x 1 1/2"; Rainbow stamp measures : 2 1/8" x 1 1/2"; I believe in you sentiment stamp measures: 1 1/4" x 11/16".